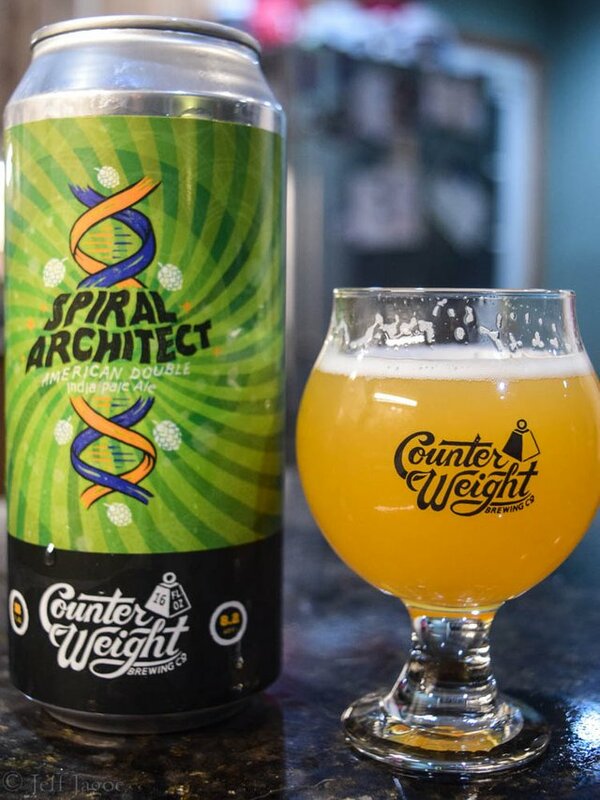 Spiral Architect - Counter Weight Brewing Co.
Spiral Architect is an 8.2% American Double IPA brewed by Counter Weight Brewing Co. in Hamden, Connecticut. Counter Weight is a relatively new beer-maker that has quickly made a name for itself in the North East market. They make a variety of beers from German Pilsners and Oatmeal Stouts to bright and hoppy IPAs. 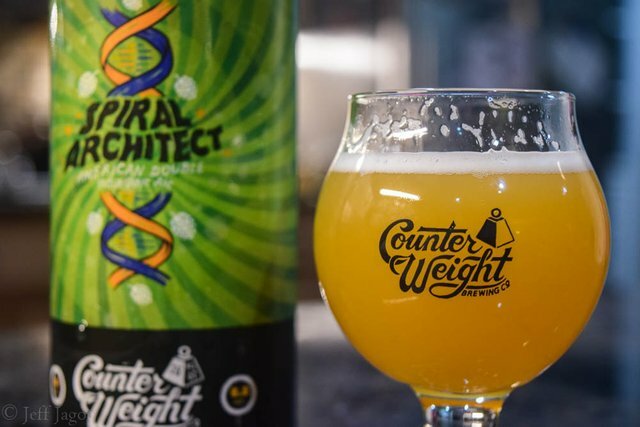 Spiral Architect is Counter Weight's signature American Double IPA, loaded with hoppy, juicy goodness. 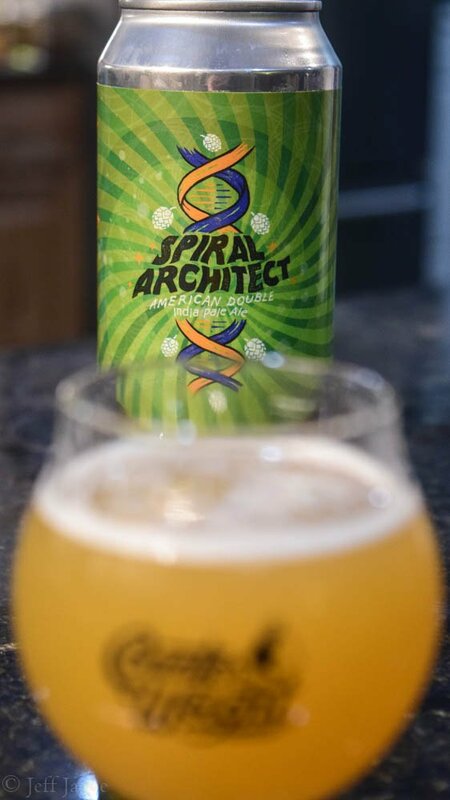 The Spiral Architect is sold in a full pint can. It features a green label with a spiraling logo which looks like a Nucleic acid double helix found in DNA. 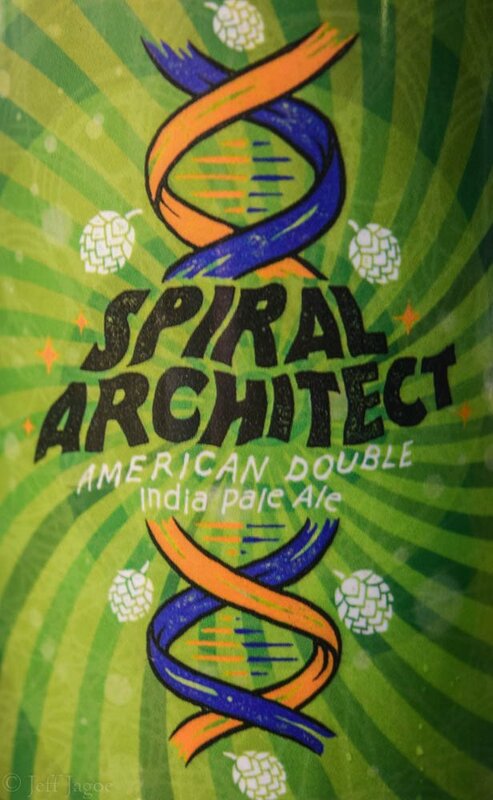 Sometimes the Spiral Architect can be found in a can with a blue label. I'm not too sure if there's a difference between the two, but I imagine so. I poured the Spiral Architect into a proper Counter Weight glass during a beer share at @kirm-it's house. As you can see, the beer is a nice glowing yellow color. The beer smelt like citrus and tropical fruits. It had a hoppy and piney flavor which did a great job at masking the over 8% alcohol content. Overall it's a great double IPA. I look forward to trying more from Counter Weight Brewing Co. in the future. Thanks @chireerocks! I hope you have a great day as well!